The Anooki turn the immense Place Bellecour into a small child’s room. For the first time, the Anooki come out of the projection to become giant luminous objects. Notice to Line users! Since a few days, the Anooki can shake your messages. To add the Anooki animated stickers collection in your Line app, there you go! As an iOS user, you can now animate your iMessage conversations with animated Anooki. In 2013, the Anooki became one of the first collections of animated stickers for Facebook Messenger. Millions of Anooki are exchanged each day in smartphones around the world. The Anooki now join the iMessage app for iOS. To animate your iMessages, follow the guide. The Anooki enter Mini World ! Miniworld Lyon, the largest animated miniatures park in France, reproduce the most spectacular shows of the Festival of Lights of Lyon in miniature. 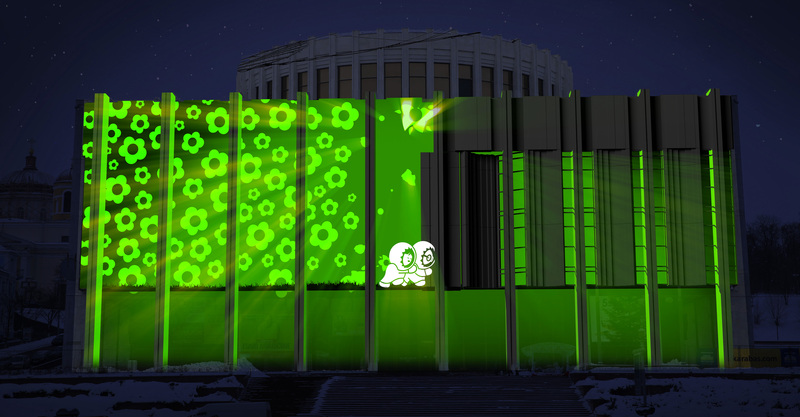 Obviously, the Anooki were in the party, with their show on the Opera, awarded with the 2014 Trophy of Lights. For the Anooki, it’s the perfect opportunity to replay the show 2 years later, and to delight the audience again. A shot of animation to drink every day on. The Anooki, happy climate refugees, invade TV screens, to talk about hot news topics and shake our views of the world. They’ve just turned up, straight off their pure and disconnected ice field, to find themselves confronted with our hot news topics, played on a loop on our Tvs, radios and notifications on our smartphones. The Anooki remain neutral, they’re not lesson givers. They just bring their amusing vision of the world which is not always fun. The Anooki continue their world tour with sound and light shows! After Lyon, Dubai, Sharjah, Osaka and Singapore, The Anooki are the guests of Kyiv. They will open the “French Spring”, a month of cultural events organized by the French Institute in Ukraine. To launch this event, the Anooki will happily wave the House of Ukraine, a massive building, worthy representative of Stalinist architecture, Place de l’Europe, 2 steps from Maidan Square which was the scene of the recent revolution in Ukraine. This new will be musical, with a surprise: the Dakh Daughters, 6 Ukrainian singers, will make a live performance during the show, mixing their voices with Klimperei’s music and Anooki’s choreography. Between 25000 and 30000 spectators are expected Saturday, April 2 at 20:30 and 21:30, to attend the show on the facade of the House of Ukraine, Kyiv. 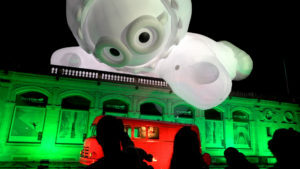 At the end of August 2015, the Anooki invaded the facade of the National Museum. The huge facade turned into a new playground during the 10 days of the Singapore Night Festival. A furious dance and 50 blown candles to celebrate 50 years of independence of the country. The story begins with a message from Thomassie, teacher in Ivujivik‘s school, the most northern town in Canada. He suggests us to use the Anooki as a class support with his students. After some translation exchanges, here is the result: the Anooki in Inuktitut, one of the 4 Inuit dialects, a syllabic language, made of strange signs. We hope the Anooki will entertain students in the Far North. We warmly thank Thomassie Magiok and Charlie Kowcharlie for their approach. Anne Hidalgo, city mayor of Paris, inaugurates the new connected and ecological bus shelters JCDecaux. The Anooki Card app is one of 11 apps selected by the City of Paris to entertain or inform the travellers. You can now send an Anooki Card to your friends while waiting for the bus. Enjoy and sing the song that made Lyon dance during the last Fete des Lumieres . Special thanks to Klimperei for the music and lyrics! Thank you to the city of Lyon, and to CNR for making the dream come true. And hats off to our magic team : Jean-Baptiste Delorme, Xavier Lacombe, Klimperei, Miroslav Pilon, Christophe Gendreau, Stéphane Ourghi, VLS, SBB Diffusion ! Fête des Lumieres in Lyon : let the Place Pradel swing ! 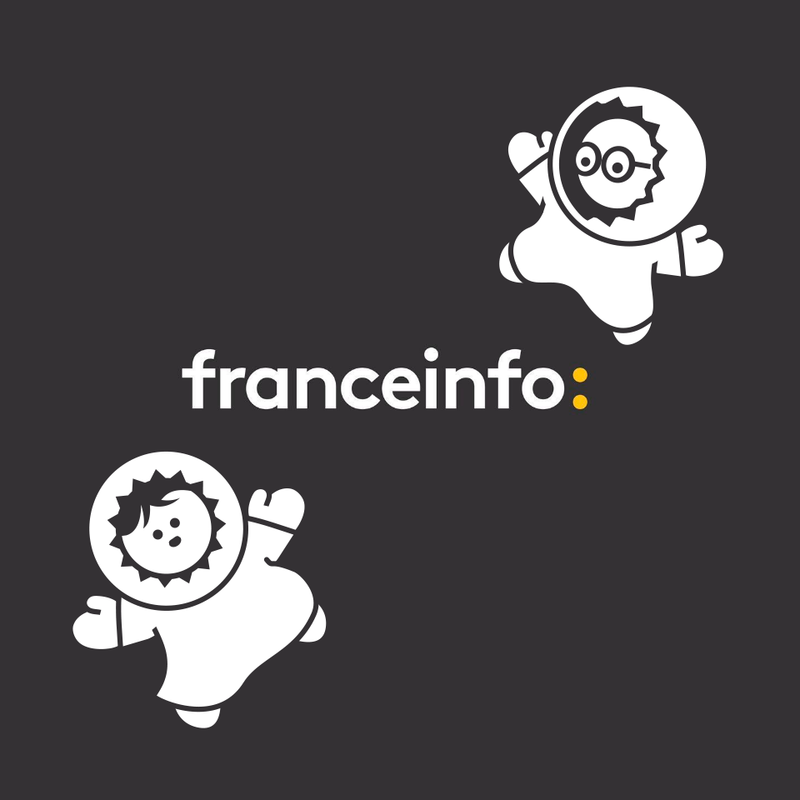 We are about to launch a 31 episodes series for France Television. One short episode (20 sec) everyday, plus one “anooki card” per episode !